It was a quirky, old place, but it was home to Binland Lee and her 13 housemates. It was also blatantly illegal, from basement bedrooms without permits to the unit with only one way out — where Binland happily lived and where she died when fire struck last spring. This story was reported by Globe Spotlight team reporters Jenn Abelson, Jonathan Saltzman, Casey Ross and Todd Wallack, and editor Thomas Farragher. It was written by Abelson. April 28, 2013: 1:30 a.m.
As Binland Lee trudged up the rear staircase of 87 Linden St. early Sunday morning, the Boston University senior found a small gathering of housemates and friends sprawled across the living room sipping gin and tonics and mojitos and listening to music on a laptop. The 22-year-old was exhausted after walking from a party near MIT where a friend had just confessed romantic feelings for her. A little tipsy, Binland broke into a wide grin when she spotted Devi Gopal, an old classmate from Brooklyn Technical High School, sitting in her Allston apartment. They hung out for five minutes before Binland called it a night. Her freshly cut, glossy black hair swung across her back as she walked up stairs still adorned in twinkling Christmas lights. Binland headed to her attic sanctuary, her perfect undergraduate space. The marine science major had hung a beach ball-colored hammock inspired by a school trip to Belize next to a giant poster of Hawaiian palm trees and ocean waves. Above the dormer window, Binland plastered a large blue and white flag of Finland — an amusing emblem of her trademark introduction. “Hi, I’m Binland. Like Finland with a B,” she explained to new acquaintances. She opened the tan curtain draped over her bed like a canopy and sank into the queen size mattress. Several hours later, Binland woke; fire was spreading through the house, climbing rapidly toward the attic. “Get down!” her housemate Thiérry Désiré yelled from inside his bedroom across the hall. The apartment had only one exit on the floor below — her perfect space was therefore also perfectly illegal — and dark smoke was now choking the hallway outside her bedroom door. It was a 26-foot plunge from her dormer window to the front lawn. The light gray Colonial where Binland lived with 13 others was never supposed to house so many people. A prior owner had converted it to a two-family after a fire in the 1990s, splitting up the building in an unusual way by blocking off the central staircase that once connected the first and second floors. Binland and her housemates nicknamed these stairs to nowhere “the Pit” and considered turning it into a colorful ball pit like at Chuck E. Cheese’s. Instead, they used the area as storage for luggage, scuba gear, and books. The walled-off staircase meant no one could enter the upstairs apartment through the front door. A rear interior staircase provided the only access to that unit, and a new sliding glass door in the family room on the second floor was intended to provide the required second egress, according to plans filed with the city in 1992. But heedless landlords, scant oversight, and intense demand for student housing would turn 87 Linden into a case study of the city’s broken student rental housing system. Boston, defined in large measure by the students who flock to it, allows these eager newcomers to be put at risk in overcrowded houses that serve as shoddy substitutes for modern dorms. Such illegal overcrowding is rampant in student neighborhoods, a Globe Spotlight Team investigation found, a health and safety hazard virtually ignored by city inspectors and exacerbated by local universities that have in recent years, admitted many more students than they can house. The exact cause of the blaze that consumed the house remains in dispute. The fire department found that the cause was “unintentional, careless disposal of smoking materials” but residents deny that anyone smoked in the house the night before the blaze. The Globe’s detailed reconstruction of that terrifying morning, drawing on hundreds of documents and more than 60 interviews, revealed persistent problems at 87 Linden and the failure of key players to do much about them. By the time Binland and her friends moved into the house in the fall of 2012, landlord Anna Belokurova, who had just emerged from bankruptcy protection, was renting out nearly every space as a bedroom, including the family room with the sliding glass door. That left the building without a mandatory second exit for the upstairs unit. It was nothing out of the ordinary for this student-packed neighborhood where homes with rafts of code violations persist despite crackdowns promised by the city. The house, which listed six bedrooms in building plans, was actually filled with 14 residents sharing 12 bedrooms, including three people who lived in basement spaces that city inspectors had cited as illegal in 2001. The wood-frame home had an array of other issues — a kitchen light constantly flickered, bulbs burned out quickly, and stifling heat alternated with frigid temperatures. The total monthly rent for the two units: $7,850. It was a great deal for Belokurova. And compared to dorm costs, the rent was a bargain. Binland embraced her first off-campus apartment, and so did her housemates, among them Thiérry Désiré, a high school classmate; Erica Ross, a marine science friend; and Patrick Farley, a pal of Erica’s ex-boyfriend. They led fairly independent lives but came together for parties and occasional late nights after the bars closed. 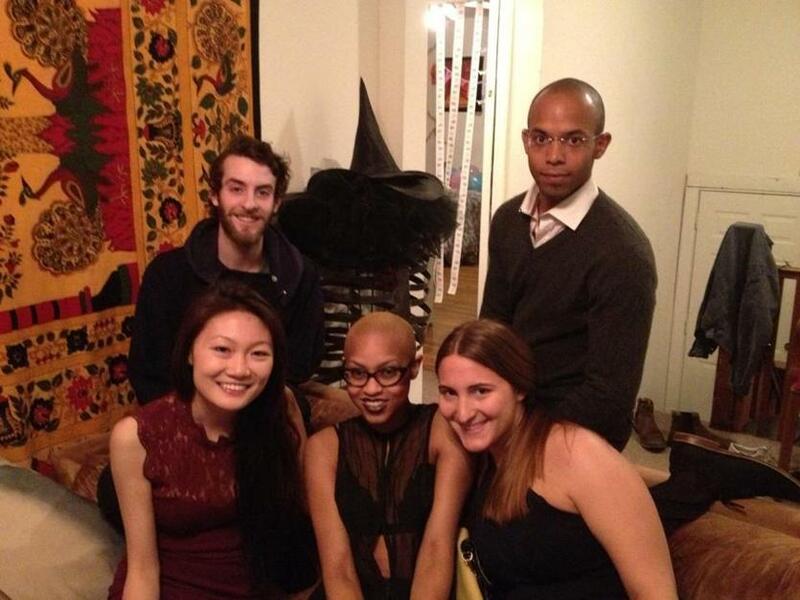 (Clockwise from top left) Housemates Nick Moore, Thiérry Désiré, Alex Mark, Avaloi Atkinson, and Binland Lee, in the living room of their apartment at 87 Linden St. a week before the fire there in April 2013. Nine residents and four guests were sleeping at 87 Linden on the night of the fire. About an hour after Binland retreated to her attic bedroom, the gathering had dwindled to a few people in the living room on the second floor. They brought out a vaporizer, a smokeless device, to inhale marijuana. The vaporizer plugged into an outlet to heat up the plant material and did not use a lighter or match. Thiérry did that, and as he headed up to the attic, quiet fell over the house. April 28, 2013: 6:30 a.m.
Ashrill beeping pierced the Sunday morning as Alex Mark opened her bedroom door and walked toward the second-floor bathroom. The Boston University senior felt a jolt of fear when she spotted black smoke ahead of her and orange flames to her left in the Pit. The 22-year-old ran to Erica Ross’s bedroom in the rear of the building across the hall from Alex. After finding Erica’s bed empty, Alex fled in her pajamas and black Birkenstock sandals to the only way out — a white door on a small landing next to the Pit. Heat from the fire singed the top of her dirty blond hair as she bolted down a separate staircase to a back exit on the ground floor. While Alex frantically dialed 911 outside the house, Julia Cseko, roused by the alarm, stood half-clothed by the door of her boyfriend Patrick’s bedroom in the rear of the house on the second floor. She fumbled with a fire extinguisher and tried to put out the flames that had advanced from the Pit to the couch in the living room overlooking Linden Street. “Get out of the house! There is a fire!” Julia yelled, as black smoke enveloped her. Julia and Patrick darted out the sliding glass door on the back wall of his bedroom and inhaled the crisp spring air. He reached inside for two pairs of pants and they quickly dressed on the wood deck facing the driveway behind the building. Julia’s screams startled Nick Moore who lived one floor above in the attic. He crawled on the light brown carpet toward the stairs to the second floor — his only escape route — and then turned back. It was too hard to breathe. Nick lunged for his bedroom window and gulped air. A rock climber, the recent Emmanuel College graduate snatched a blue sweatshirt and hoisted himself onto the slanted roof, shimmied across the narrow edge, and then jumped about 12 feet down onto a pitched landing. Nick hopped over a railing to join Patrick and Julia as several windows exploded with such force that it sounded like bombs to the neighbors next door. Alex, the first to exit the burning building, looked up from the back driveway and saw Nick, Julia, and Patrick barreling down the exterior stairs from Patrick’s deck. Waves of relief washed over her; Alex assumed her other housemates, Thiérry and Binland, were not far behind. Pieces of melting gray siding fell from above. Alex looked into Cat Principe’s bedroom on the ground floor. “There’s a fire upstairs. You have to get out,” Alex barked through the window. Sylvan O’Sullivan heard the screams and scrambled out the front door. 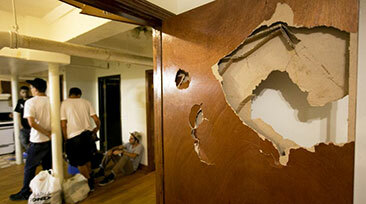 Cat tore through her two-level apartment to the basement to warn the housemates who lived there. The BU sophomore had trouble seeing in the basement, so she crawled back up the stairs with BU sophomore Shiran Sukumar a few steps behind and raced out the front door. Jed Margolis, another basement resident, fled through the cellar storm door onto the rear driveway. Upstairs in the third-floor attic, a gray haze was settling over Thiérry’s room where his high school friend Devi, her cousin Ashley Gopal, and Ashley’s roommate Tiffany Ramgolam were visiting from New York. When Thiérry opened the door, a wall of smoke surged over him. It singed his eyebrows and seared his throat. Thiérry yelled to get on the floor and slammed the door shut. “Do you think you’ll make it if we run all the way downstairs?” Thiérry asked Ashley, a senior at Stony Brook University in Long Island. Ashley, Devi, and Tiffany took turns sticking their heads out of the dormer window overlooking Linden Street while Thiérry dialed 911. It was 6:35 a.m. The window, broken before he moved in, would not stay open so Thiérry ripped the glass panel from the frame and threw it on the floor. Tiffany stuck one leg over the sill but her other leg got caught in the plastic white blinds. She froze when she looked outside to the left and saw the 2½-story drop to the front lawn. Peering through the opening, Ashley spotted a roof near the middle of the house over a porch on the ground floor. She scooted around Tiffany, who still had one leg hanging outside, and clutched the window frame. Ashley turned her body so it was pressed against the house and let go. Tiffany quickly followed, landing hard next to Ashley and spraining her right ankle. Thiérry grabbed his wallet and glasses as Devi prepared to make the 12-foot leap. Then they heard Binland, their Brooklyn Tech classmate, scream from across the hall in her bedroom. He thought he heard Binland open her room’s window. Smoke filled his lungs. The room blackened. Thiérry panicked, worried he would die if he waited any longer. He jumped and found Devi writhing in pain on the porch roof with a fractured back and injured wrist. When he looked up at the front of the house, glowing flames shot from Binland’s window and glass began raining down. Thiérry Désiré and Devi Gopal on the porch roof of 87 Linden Street in Allston after jumping from his third floor bedroom. April 28, 2013: 6:40 a.m.
Boston Fire Department’s Ladder 14 roared the wrong way down Linden Street from Brighton Avenue. Fire Captain Pat Ellis immediately called for a second alarm when he saw roiling smoke, heavy fire, and college students jumping from upper floors, including Tiffany, who was dangling by her fingers from the porch roof. Firefighter Brian Hardiman threw up a 35-foot ladder for Tiffany. Then he scurried to help Devi and Thiérry, who was shivering in a canary yellow T-shirt and boxer shorts. “Make sure my roommates are out,” Thiérry begged as he gestured toward the house. Captain Ellis sprinted around the side and rear to see if anyone needed rescuing. Alex, who lived in the bedroom below Binland, told O’Neill she knew that her friend was still in the apartment. Alex, distraught, dialed Binland’s cellphone repeatedly. It rang the first time and then went straight to voicemail. Chaos broke out across Linden Street as neighbors stumbled outside to a sunny April morning weeks away from BU’s graduation. Ambulances, sirens blaring, hurtled toward the scene. 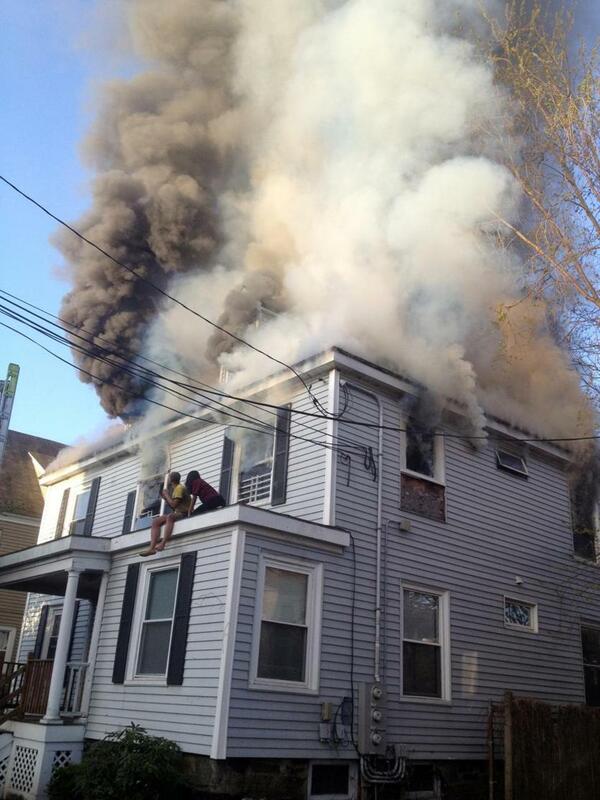 Firetrucks jammed the narrow street of mismatched two- and three-family houses packed with college students. It was a horrifying déjà vu for many residents who had awakened on a Sunday morning a year earlier to discover 84 Linden St. ablaze with BU students leaping out of second- and third-story windows. Captain Ellis and firefighter Mike Lynch tore through the front door of 87 Linden to search the upper floors, only to hit a dead end at the walled-off staircase on the first floor — the other side of the Pit. “How do you get to the second floor?” Ellis shouted to the tenants as he ran back outside. Around the rear, they pointed. Back there, flames roared from every window except one in Erica’s bedroom on the second floor. Firefighter Travis Dery positioned a ladder at that window and climbed inside while Ellis maneuvered through a shattered opening on the second floor. They met near the door to Erica’s bedroom and then Ellis fell through the floor where the interior staircase and banister had burned away. Ellis ripped a ligament in his knee but continued fighting the blaze, seeking treatment later in the day. The fire was moving quickly through the wood-frame home. The open stairwell was like a chimney, pushing the inferno upward. Boxes, vinyl records, and a snowboard stored in the Pit fed flames that devoured oxygen and emitted noxious fumes. Electrical power lines above the house initially blocked firefighters from using an aerial ladder to aim hoses at the top floor. Inside, another firefighter, James Shone, tumbled hard into the same hole by the charred stairs that had tripped up Ellis. Deputy Chief Steve Dunbar ordered everyone out of the building except Rescue 1, the team conducting searches. He requested a third alarm at 6:56 a.m.
Julia, who had been staying on the second floor with her boyfriend Patrick, felt an urge to vomit when she watched the smoke consume Binland’s attic bedroom. “[She] could be dying in there,” Julia thought, as she sat on the sidewalk. Police officers arriving on the scene ushered Julia, Patrick, his housemate Nick, and an injured firefighter, into an ambulance bound for Beth Israel Deaconess Medical Center. Another emergency vehicle transported Alex, Thiérry, and his three guests to Brigham & Women’s Hospital. Thiérry, stoic by nature, sobbed uncontrollably. Tears streamed down his soot-caked cheeks as he dialed his mother in New York. Meanwhile, back on Linden Street, the landlord, Anna Belokurova, pulled up to the fire scene with her insurance adjuster and approached Christopher Sloane of Boston’s Fire Investigation Unit. She began listing problems with the property: There was a ceiling light flickering that her maintenance man fixed a month ago; a closet pole fell down a couple of days ago. “Can I move away from the cameras?” the landlord asked Sloane as television crews filmed the devastation. There were no good answers. On move-in day, the tenants found 87 Linden in well-worn shape — a familiar, shabby greeting for Boston students living off campus. It was hardly an auspicious beginning for the 20-year-old’s first off-campus living experience. But this old house had to be better than Warren Towers, her BU freshman dorm, which she considered chaotic and too expensive. Down the block, Cat spotted city officials who had set up a tent in the Hess gas station parking lot at the corner of Brighton Avenue. Move-in day is when city inspectors make a large and very public show of force in student neighborhoods. 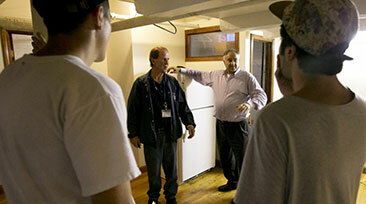 They encouraged tenants moving into Allston to get their apartments inspected. When Cat called the city for information, the BU student was told someone could come by within the week. Belokurova immediately rejected the idea, Cat recalled. The landlord had just wrapped up her bankruptcy case in August after years of financial distress. Like many seeking to profit from the real estate boom, she had bought up properties in Allston and other neighborhoods. But Belokurova’s huge loans swiftly fell into default. Cat let it go. And she never saw inspectors come by. In the apartment upstairs, Binland focused that day on perfecting her room. Binland’s immigrant parents made the trip from Brooklyn to help move in their only child as they had every fall semester. A seasoned worrier, her mother, Xu Mei Kwong, had resisted the idea of off-campus housing. The Chinese seamstress relented after Binland convinced her that she could save money for graduate school and become more independent. But now Mei noticed cracks on the walls, exposed wires, and a broken bathroom door. 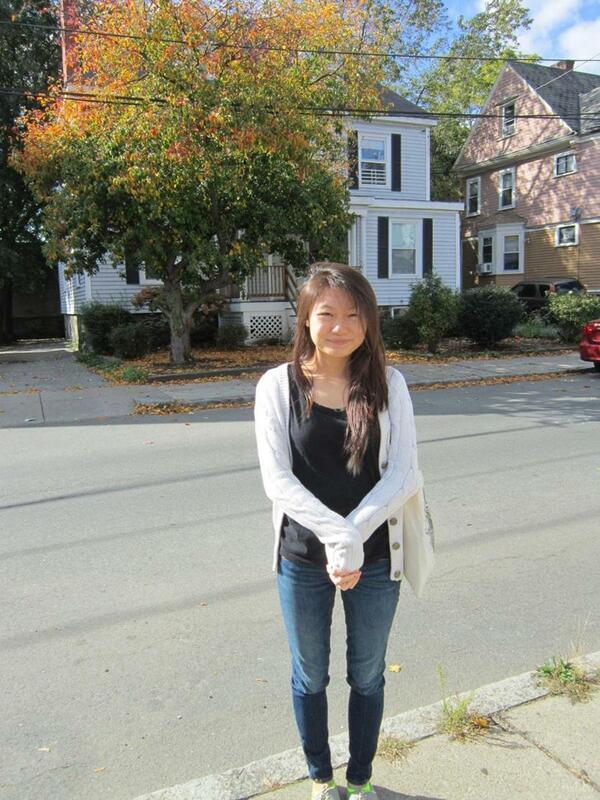 Binland’s mom, Xu Mei Kwong, took this photo of her daughter in October 2012 in front of 87 Linden St., where Binland had moved off-campus for the first time one month earlier. “I’ll get them fixed,” Binland promised. Mei, who spoke with her daughter several times a day, mailed Binland a tan curtain to cover the cracks. The BU senior tacked the cloth to the ceiling and draped it over her bed. It reminded Binland of the comforting fort she had built with pillows and blankets in her junior year dorm room. It was a happy memory and she planned to make more. 87 Linden St. is a house with a history, and not an entirely happy one. The paper trail stretches back years. Certainly it was an address city officials came to know well. Officer Edwin DeJesus pulled up his cruiser to 87 Linden at 1:12 a.m. on April 15, 2000, and discovered a raucous gathering of 40 to 50 minors drinking alcohol and playing loud music. While the police were distracted, partygoers who paid a $15 entry fee locked themselves in bedrooms and hid there with kegs of beer. On April 20, Inspectional Services dispatched its special operations division. The inspectors found nine tenants paying $6,500 a month for a house with no working smoke detectors, blocked egress, holes in the ceiling and walls, broken lights, mold in the bathroom, missing handrails, debris in the basement, and a garbage-strewn yard. The city filed a lawsuit against then-owner Joseph Briganti ordering him to make the repairs. Another inspection in January 2001 uncovered illegal bedrooms in the basement. But the landlord apparently had another way of addressing the problems: Let somebody else deal with them. Briganti sold 87 Linden for $567,000 in March 2001 to Wing Chan, a local property investor. When BU student Erika Reimerdes let inspectors onto the property less than a month later, plywood boards covered broken windows near the front porch and two of her housemates were living in the illegal basement bedrooms. The agency reported “violations still exist” and rewrote the old complaints with the new owner’s name. The paper trail abruptly ends for the other dozen violations, including the illegal basement bedrooms. As far as can be determined, nothing was done about them. The transitory nature of these rentals rarely allows students to learn about the horrible experiences of those who lived before them in these rooms, people like Jennifer Ducharme. Two days before classes started in 2007, Ducharme, a Boston University senior, searched for an available place in Allston. She checked out one of the few listings posted — a basement bedroom at 87 Linden St. — and signed a lease with Belokurova, who had purchased the property in 2002 for $690,000. Problems surfaced immediately. The dishwasher overflowed. The refrigerator’s shelves broke in two places. The water stopped running. On Oct. 9, Boston inspectors cited Belokurova after the city turned off water service, apparently because of unpaid bills. Belokurova had made a habit of not paying bills and defaulted on her mortgage with Bank of America, which moved to foreclose on the property in the fall of 2007. While other landlords were cashing in on can’t-miss investments, Anna’s financial skills matched her housekeeping; she was going broke. Jennifer called the city on Nov. 1, when the electrical company shut off power for two days and the stench of rotting food permeated the apartment. The heat stopped working days later. Jennifer’s conversations with Belokurova left the student in tears. City inspectors showed up three days later to examine the heater in the basement. But they missed something that should have been glaringly obvious — the unpermitted bedrooms on the basement level. Things were breaking so frequently that Jennifer befriended the man hired to repair problems in the house. After he confided that the landlord didn’t plan to fix a toilet, Jennifer called Belokurova to complain. The next day, the repairman let himself into the apartment with his set of keys and confronted the young student in her bedroom. He grabbed her breast and buttocks, Jennifer recalled, forcibly kissed her on the mouth, and pushed her onto the bed. When Jennifer screamed, he got up and left. “Don’t tell anyone about this,” he texted. The BU senior was mortified. In December, after she hurt her back falling down the cracked stairs on an icy morning, Jennifer broke her lease and fled the apartment. Letter from tenant's mother to landlord Anna Belokurova. The refund check never came. Jennifer found somewhere else to live a few blocks away. There was no shortage of new tenants ready to take her place at 87 Linden. Heating and electrical issues still plagued the house five years later. The thermostat, kept under a locked plastic box, rarely worked properly, pumping oppressive heat on the first floor and chilly air into the upstairs apartment. It would switch between hot and cold for no apparent reason. The light in the first-floor kitchen, which was next to the wall that blocked off the Pit, buzzed loudly and flickered violently like a strobe light at a dance party. A repairman replaced the fixture once, but it did not stop the fierce flickering that gave Cat headaches. Other sockets in the bedrooms and basement burned out bulbs in a week. In the apartment upstairs, the laundry machine broke. Lights flickered in Patrick’s bedroom and the living room on the second floor. Cracks spread across the walls. A kitchen plug near a dish rack shorted. The landlord, who had accumulated more than $3,000 in city fines for illegal dumping and improper trash storage at 87 Linden St., fixed some problems. Others remained. But that was standard fare for college living so the students thought little about it. Binland, who loved to cook and dreamed about starting a food blog with Thiérry, organized taco nights and tried out recipes on her housemates and guests. 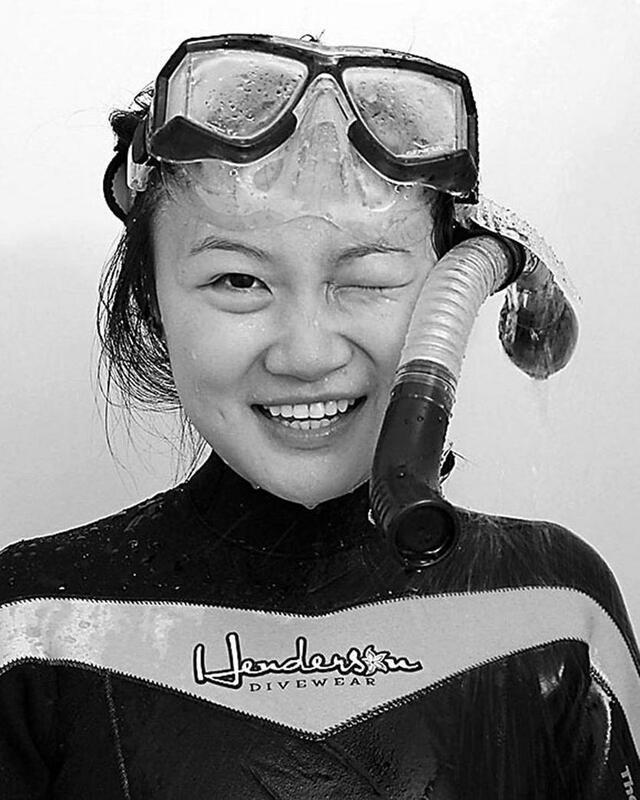 She had a quirky constellation of friends — the freshman year gang, science geeks, Brooklyn pals, first-generation Chinese students, and MIT frat boys. The marine science major had an endless curiosity and enjoyed sharing her passions, particularly for cuttlefish, known as the chameleons of the sea because of their ability to change their skin color and pattern. They were kind of like Binland, who was always seeking new adventures and could fit in anywhere — traits that drew others to her. A self-portrait that Binland submitted for a photography class at Boston University. She dressed in a wet suit, mask, and snorkel, and photographed herself in a running shower. Brooklyn native Binland Lee in words and pictures. She invited her friends to several theme parties that fall, including a luau and a Halloween gathering. Binland and her housemates Erica Ross, Noelle Olsen, and Noelle’s girlfriend Cait McAndrews pooled their funds for the Halloween fete, buying decorations and pouring beer and a cider vodka punch into carved-out pumpkins. Binland dressed up as a ballerina and the reserved Thiérry even donned a costume, posing as Lance Armstrong with a biking helmet and a syringe sewn into the back of his cycling tights. As leaves fell from the giant tree outside Binland’s window and the bitter Boston winter took hold, some tenants fumed over unaddressed safety concerns. Early one January morning a stranger with a graying beard screamed at Cat Principe through her first-floor window. The crazed individual brandished a knife and demanded to know who had taken his bike. He insisted that she knew. Cat swore repeatedly that she had no idea what he was talking about until the stranger finally left. Then she called her landlord. “Anna, can I please put bars on the window?” Cat pleaded. Belokurova resisted. It would mess up the outside of the house and require approvals. No, was her final answer. Three months later, Binland struggled with anxiety after the Marathon day bombings that killed three people, including Lingzi Lu, a BU student from China. Binland photographed the race that day for her journalism class and was supposed to be at the finish line when the blasts went off. But the runner she was following fell behind, and she was two blocks away as the bombs blew up on Boylston Street. When Binland’s boyfriend, Elbert Kim, insisted on heading toward the explosions, she balked. They feuded and things were shaky between the couple after that. On April 19, as Boston remained under a lockdown order following the shootout in Watertown with the suspected bombers, Binland knocked on her housemate Alex’s door downstairs and sat on her bed. “I don’t feel safe anywhere,” Binland said, sharing the fear she’d felt since the Twin Towers crumbled just miles away from her Brooklyn home. But rather than retreat into her fears, Binland decided to use the Boston bombings as a wake-up call to live life more fully. She invited friends she hadn’t seen in awhile over for a movie night to watch “Pitch Perfect” and cooked a pasta dinner. On the Saturday before the fire, Binland, who typically kept her feelings private, chatted on the phone with her freshman year roommate, Amanda Calderon, for more than an hour about her relationship issues. Binland ended the call in what was, for her, a most unusual way. April 28, 2013: 8:30 a.m.
Investigators walked into Ashley Gopal’s hospital room with a notepad and a lot of questions. “Was there smoking of cigarettes? Were you smoking a joint? You won’t get in trouble,” they promised. “No one was smoking,” Ashley insisted. Residents and visitors who were at the house that night told authorities the same thing: No one smoked inside. 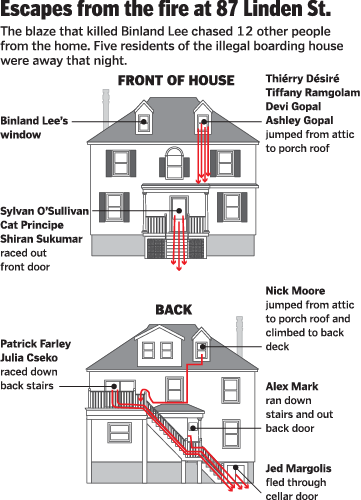 Boston Fire Lieutenant Thomas Murray, one of the investigators, ruled out the vaporizer as a source of the fire. And he confirmed that no one admitted smoking cigarettes in the house — two said they’d had cigarettes on the porches outside. Nonetheless, “unintentional careless disposal of smoking materials” was the Fire Department’s conclusion about the cause of the blaze. Boston Fire Department report on fire at 87 Linden St.
Fire Lieutenant William McCarthy, a licensed electrician, found several issues on the ground floor that could have contributed to the flickering lights, but the department believed electricity did not play a role because there were no outlets in the Pit, where the fire appears to have started. April 28, 2013: 10 a.m.
Binland’s boyfriend, Elbert, was moving furniture in the Back Bay when he got a call from Delacia Davis. “Binland isn’t picking up the phone. There is a fire at 87 Linden,” Binland’s friend told him, panic in her voice. Elbert hopped in a cab and tried to get past the yellow police tape on Linden Street. “I’m Binland’s boyfriend,” he said. A homicide detective walked him to the Hess gas station down the street at the corner of Brighton Avenue. “Everyone is accounted for except for Binland Lee and we found a body,” the detective said. Elbert, who had turned down an offer to stay over Binland’s house the night before, sat down in the middle of the parking lot and started sobbing. Over the next several hours he raced to hospitals across Boston. Then, he called Binland’s mom, Mei. Mei arrived at South Station after 9 p.m. on a Lucky Star bus from New York. BU’s dean of students, Kenneth Elmore, met her at the terminal with Elbert and Amanda, Binland’s freshman year roommate, and they walked together toward the back of the station. Elbert laid down on the floor. Amanda held Binland’s mom. Dean Elmore took her hands and broke the news. Mei began howling uncontrollably and lost feeling in her legs. Elmore found a wheelchair to bring her to a BU police cruiser and they drove to Hotel Commonwealth in Kenmore Square. When they arrived in the hotel lobby, Mei was hyperventilating. Paramedics arrived at 10:15 p.m. and transported her to Beth Israel Deaconess Medical Center. Mei and her brother, Da Ren Kwong, who had driven up from New York, met with the homicide team. Later that day, Boston’s inspectional services commissioner, Bryan Glascock, arrived at 87 Linden looking for answers. He wanted to understand how the building was laid out and why it was a challenge to escape. Binland’s mother, Mei, above, and other family and friends returned to 87 Linden St. on the one-year anniversary of the fire, building an elaborate memorial with candles, hazelnut chocolates, teddy bears, and dozens of flowers surrounding three framed photos of Binland. In the evening, BU held a small vigil on Marsh Plaza — similar to a gathering held weeks earlier for Lingzi Lu. “Not for nothing,’’ someone scrawled in chalk next to a makeshift memorial where Binland’s boyfriend left her senior year photo. “We are living our lives for two now,” Elbert told the mourners. After the vigil, Jefferson Sanchez, the MIT student who had shared his romantic feelings for Binland the night before the fire, drove straight to 87 Linden. He held a hand-carved wooden paperweight from Nicaragua. It was a gift he’d bought for his crush but never got around to giving her. Jefferson dug a hole in the lawn and buried it. On Tuesday, Boston’s inspectional services cited Belokurova, the landlord, for running an illegal rooming house and not having permits to create bedrooms in the basement. The agency had issued similar violations to a previous owner in 2000 after BU’s Joe Walsh flagged the property. Nonetheless, Glascock told the media that inspectors had not been inside the house since 1992. After the fire, Belokurova immediately hired an attorney who issued a statement saying the property had passed many inspections and that the safety of her tenants was always the landlord’s top priority. Nonetheless, she rented out an apartment with only one egress — a violation so significant that it could have led the property to be condemned by the city. Belokurova, who lives in Newton, would not answer why. And Glascock said he could not comment because of an expected lawsuit. Three days after the fire, Noelle, who lived in the apartment during the fall semester, and her girlfriend Cait, returned to 87 Linden. The temperature instantly dropped 10 degrees as they walked through the door. They climbed up the burned-out staircase to the attic and dug through piles of wet black ash in Binland’s room, searching for items to give to her family. They found an old wallet with a middle school ID and a library card. The scorched hammock stuck together in clumps. They recovered scuba booties Binland wore in Belize. Her family would later place them in her coffin. 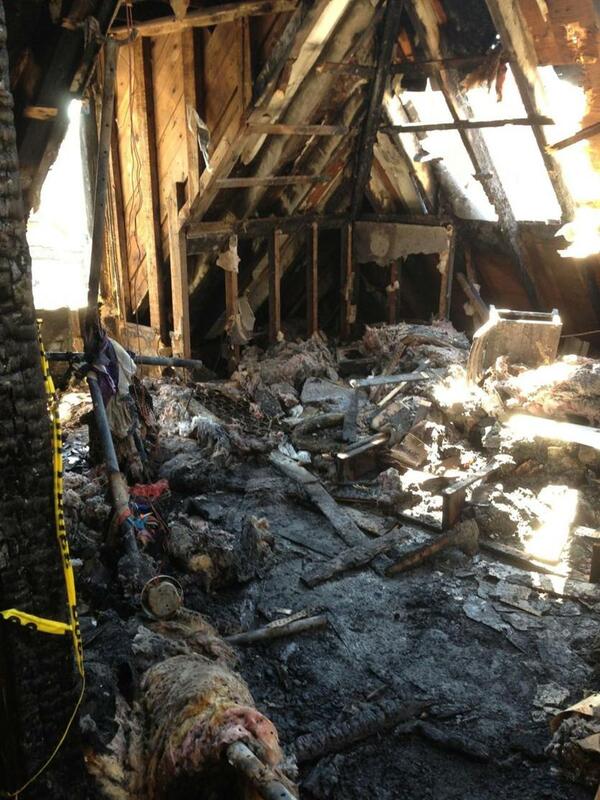 The blackened attic apartment where Binland died. Rescue 1 had found Binland’s body by a dormer window in her bedroom. The medical examiner concluded she died of smoke inhalation. Mei tried to convince her brother to drive by 87 Linden on their way back to Brooklyn. He refused because it was too painful. Mei thought about returning to Boston a few weeks later to see the house and watch Binland’s friends receive their diplomas. But it was an impossible trip for a grieving mother to make. Six days ago, on the one-year anniversary of the fire, Mei made the journey to 87 Linden. She searched for Binland’s bedroom window but the attic had been razed and a blue tarp covering the second floor rustled in the wind. Mei gathered on the front lawn with her sister, Xiao Mei Kuang, along with Noelle, Cait, Cat, and Binland’s high school friend Cory Chan. They set up an elaborate memorial with candles, hazelnut chocolates, and dozens of flowers surrounding three framed photos of Binland. Mei kneeled on the ground, set down two teddy bears holding hearts, and then sobbed on the sidewalk. She walked back on the lawn to place red roses in the dirt next to the photo of Binland in her graduation cap. Mei and the others left briefly to buy more flowers but by the time they returned to Linden Street, someone had removed the memorial and raked the front lawn clean. When Noelle called the landlord, she said Belokurova hung up. Lisa Tuite of the Globe staff contributed to this report. Read Part 2: Student tenants overcrowded and at risk. About this story: This story is based on extensive interviews with the tenants of 87 Linden St., Binland Lee’s family members and friends, first responders, neighbors, and fire and police officials. 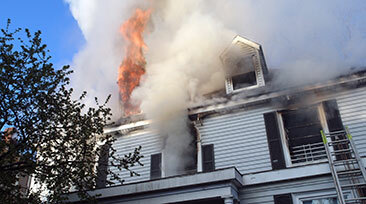 The story also draws on 911 calls, fire radio traffic, video and photos taken at the time of the blaze, legal documents made available to the Globe, police and fire reports, records from the city’s Inspectional Services Department, data from the Warren Group, a real estate-tracking firm, and records from the Suffolk County Registry of Deeds. Landlord Anna Belokurova, through her attorney, declined to comment. Her attorney referred to a statement provided days after the fire. Contact us: The Spotlight Team would like to hear from readers with tips about this series. The telephone number is 617-929-3208; confidential messages can also be left at 617-929-7483. 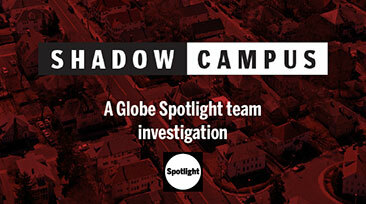 Email the team at spotlight@globe.com. Email reporter Jenn Abelson at abelson@globe.com. Follow her on Twitter @jennabelson.